Whether you are a student looking to take up digital marketing as a career or someone who ain’t really enjoying his current job and wishes to make a switch. Or even someone who desires to make some money online. 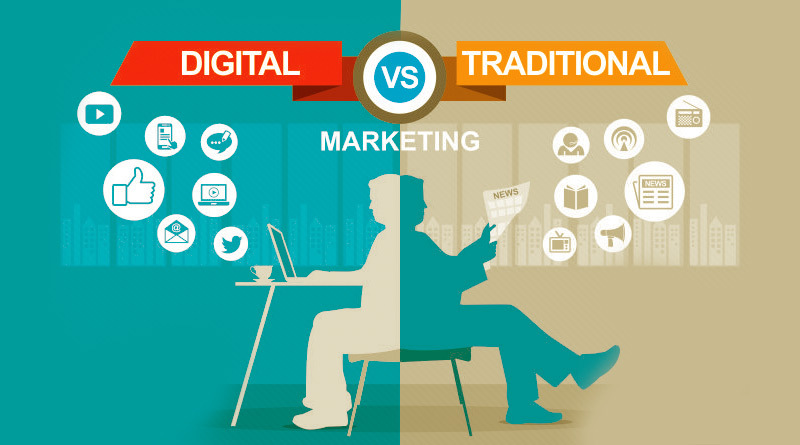 Yes, Digital Marketing can very well be an apt option. And digital marketing scope is immense, as you would read. Let me explain to you on what Digital Marketing is. Digital Marketing is a process where we use Digital platforms like the search engine, emails, videos, apps to reach to our prospective customers who would be willing to pay for our products or services. And that’s the reason why every business exists. To sell their products or services and make some great profits or returns. But what’s in store for you from learning all of this? The point is simple. If you can learn digital marketing and help a few companies in their businesses, can’t you apply the same marketing techniques to your passion and build a business around it and make monetary benefits? Yes, my friend, you can very well do that. That’s digital marketing scope. 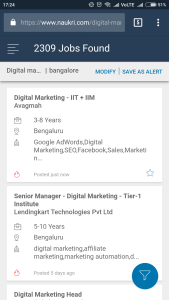 Being a graduate in electronics stream, I never imagined that I would be working as a digital marketer – but now I feel so proud of my decision. You may get a little disappointed with your initial salary, but the work makes up for that. The work is satisfying and challenging, yet stress-free. Let me elaborate and give you Solid reasons on why Digital Marketing has a great scope. Do you hate programming? Do you hate that usual IT jobs that everyone seems to be running behind? What if I told you that there is an alternative that requires no programming knowledge or background and is easy to learn and yet powerful in applications? Now, it would be bad of me to say that without showing you the proofs. You see it? There are around 1.5 Lakh jobs all over India. But how can there be so many job opportunities in any field? All that boils down to two reasons. Yes, who can ignore the fact that a huge number of people are getting connected to the Internet each day? 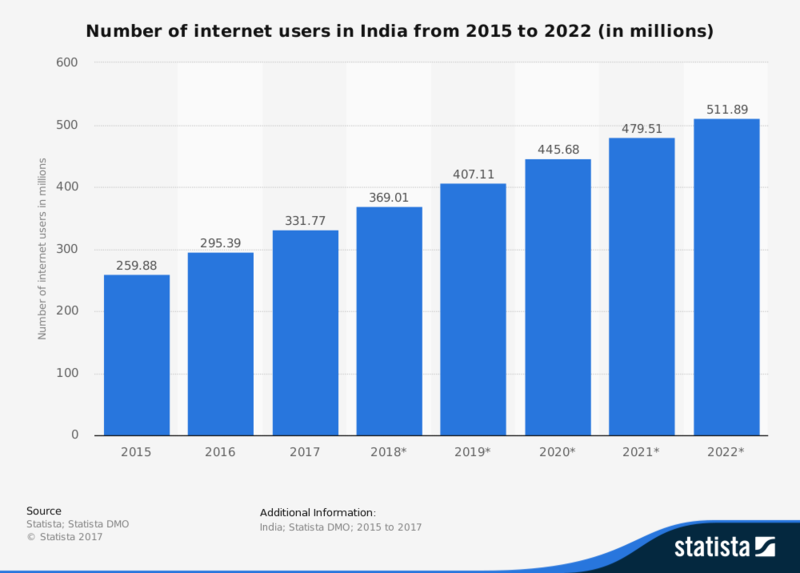 There would be around 500 million users just from India. Additionally, each user is spending more time on their devices, with average being around 50 minutes each day.What does all that mean? 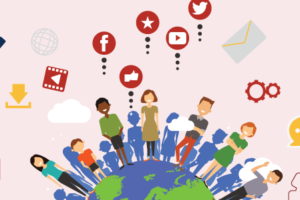 Huge demand for digital marketers to target this ever-increasing audience of people online. Also, the conventional Marketing has been on a constant decline since the starting of the century. Moreover, traditional Marketing is quite expensive and hence only large companies or MNCs could ever think about spending in it. But since Digital Marketing provides budget flexibility, ability to target custom groups, better conversion ratios and even Analytics to give up a complete picture of our marketing campaigns, it’s no wonder that every form of business can employ it. Whether its a big MNC like Coca-Cola or a startup, right near your place, anyone can employ it to reach their prospective customers. The demand-supply chain is clearly not in balance and with time, the gap is expected to widen. 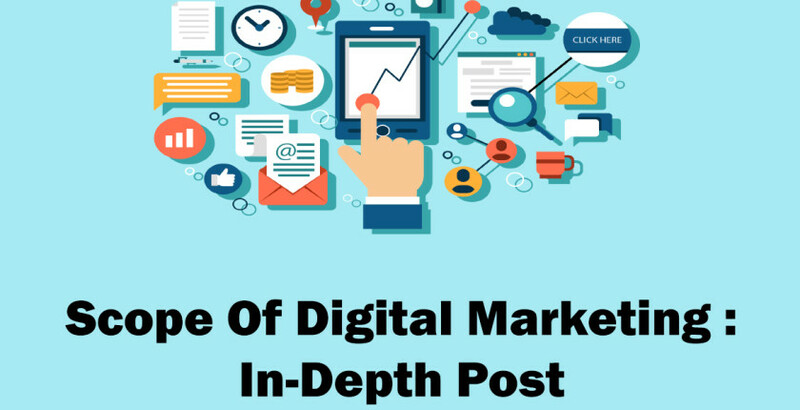 It’s the job opportunities where digital marketing scope is limitless. And a couple of more points about Digital Marketing if you wish to take it up as a job or a career option. How can I make a statement like that? And how can a job become insecure? 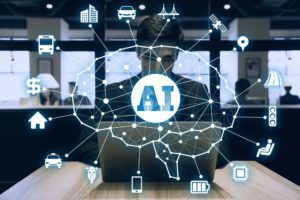 Any Job field can become insecure because of the automation. And the automation has been going in on for quite some time. I clearly remember the time when a friend of mine, who was working for a software company was asked to resign willfully for his job could now be performed by computers and algorithms. But this is still a distant dream for digital marketing. Digital marketing is a skillset and a process that involves understanding human intentions, doing manual research, performing experimentations a multiple times, patience and time among other things to make some real success and create perfect campaigns or strategies that make constant money. And machines can’t have all these properties. At least not now. And even if you don’t like your current job, there would be always an abundance of jobs for you. And things get pretty good once you acquire some experience. As you would get experienced in the field and develop some skills, I promise that it won’t be you looking out for the companies. But vice-versa too. I used to dread about working for a company for I would observe a few of my friends directly heading for a sleep after having a tiresome day at their office. I always wanted to have some energy and time with me to get myself involved in other productive things, like going to a gym. Now, I can’t make a general statement regarding the work nature of a digital marketer. Somone can be working as a PPC expert, other as a content writer or someone as a social media expert. But from my little experience and what I have heard from my marketing friends, the work is quite satisfying and relatively stress-free. Provided you have strong basics and are willing to keep yourself updated, you would enjoy working as a digital marketer. Do share us your experiences if you ever worked in this field. Though you may start at a low salary, you may end up experiencing exponential growth once you start acquiring experience and developing your skills. You even have the other career path available. After becoming proficient as a digital marketer, you can go for a data analyst and then to a data scientist. And I will leave it to you to Google the average salaries of a Data Scientist. Aren’t you surprised? This is one of the main reason on why I insist people read digital marketing. Imagine you start an amazing blog that has some killer content. Or imagine you start a YouTube channel which has tons of great videos. You put in your time but you still didn’t get any results. You worked on your ideas for 6 months but the results were nothing in proportion to what you did. The situation is similar to a company that has a great product but doesn’t know how to reach people. As you can guess, it would be an utter flop. Had the company or you knew the marketing basics and strategies, you could have flipped your fate and got some great results. That’s where marketing makes difference! What’s the use of a blog or a YouTube channel or a great product if it’s not able to get people’s eyes? And let me give you some Freelance ideas that you can probably take up after reading digital marketing. Okay, the first idea exploits people’s fear that making a blog or website is a quite difficult and challenging task. How can you possibly benefit from it? Once you learn digital marketing, you would be able to set up a blog or a website in a few hours for anyone. Here are the steps. Do good work. Get their dreams running online. And charge them up as per your wish. Here’s is one blog I made for my friend and made some profit. If you have any good camera and a great idea, why not make a YouTube channel and make money from your videos? Though it may have become a little difficult on YouTube lately, with a proper content, you can still win the game and make a great money. Don’t get disappointed if you don’t have a camera. Just work on your passion and think about adding value or solving people’s problems. I have been also trying to work on my blog and possibly make it as one of my income sources. And with a very little investment, there is no one stopping you from starting your niche blog except yourself. Do you love designing? Did you learn Digital marketing? Head over to websites like My Dream Store where we can create our custom designed shirt and make money every time someone purchases it. I did give it try and had a few successful sales. Or why not become an affiliate and review products and services to provide people with true, in-depth and unbiased reviews? A lot of people have made this their career and make great sums of money as an affiliate. Remember – Nothing of these is an instant cash making method. Only if you understand marketing properly and are willing to put in required efforts and time, you would be able to see some results. 7. Or Better – Go your own way! While working in Digital marketing, allocate a small amount of your time to your hobbies or passions and develop a blog or a YouTube channel around that. 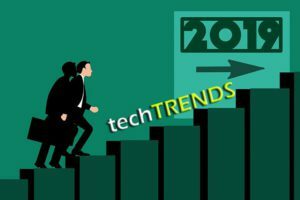 Not only would it help you to learn digital marketing in a practical sense, but would allow you to make monetary benefits from it in the future if you remain committed and consistent. That’s what everyone should be aiming at after learning digital marketing. Find the things that really excite you. Build a blog or a YouTube channel and provide a great value to people. Work persistently employing proper marketing techniques and you may soon be able to ditch the corporate system and be your own boss. John Chow is one of the Internet marketers who makes a million dollar each year through his blog. You can have time, money and space freedom to do whatever you care about as John talks about every once and then. With over 1000+ Students trained and a consistent 5* ratings, head over to Social Prachar to get started in Digital Marketing and give wings to your dreams. We offer classroom training exclusively in Hyderabad. But we do have online courses to make sure that you learn from the comfort of your place. Hope that you found this blog useful. We would be so grateful if you can share this up. We hope that you stay blessed and hungry and work on your goals until they are achieved. FAST FACTS ABOUT DIGITAL MARKETING.